The glass you select for your art or artefact is equally as important when choosing how to finish your piece. You can choose from the following glass options, and we are always here to guide you in the right direction if you are unsure. 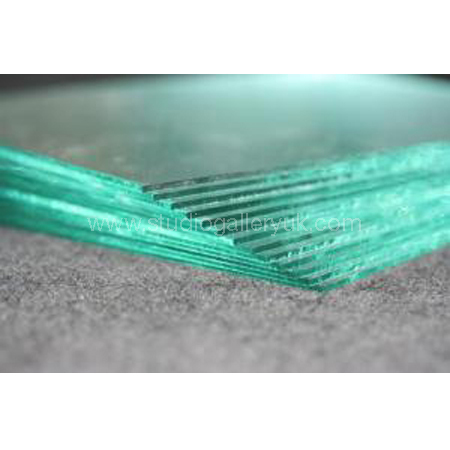 Standard 2mm float glass - most commonly used. Etched on one side to provide the best resolution and clarity without distortion. Provides glare free enjoyment without UV protection. Can be used with up to 3 mountboard thickness away from artwork without significant resolution loss. Clear glass with 98% protection against harmful UV light rays. Ideal for framing Original art, limited editions, heirloom photographs, shadowboxes, needle art and any other framed pieces with sentimental value. Etched on one side only to provide best resolution and clarity without distortion. Blocks 98%of harmful UV light rays. Can be used with up to 3 mountboard thicknesses away from artwork without significant resolution loss. Glare free enjoyment of artwork, ideal for use with matte finish photographs and posters. The very best choice for the maximum reflection free, UV protection, viewing pleasures. Almost invisible, museum glass protects works of art against 98% of harmful UV light rays. Reduces reflection by over 85% - the lowest possible reflection rating available with UV protection. Provides the highest brightness and contrast levels available. Optimal clarity for true colour transmission. Lightweight, versatile and shatter resistant plastic products are perfect for use in public areas or for use on images that may be transported. We offer a comprehensive range of plastics from great value styrenes to high end, scratch resistant acrylics (with or without UV protection). For further information on the glass we offer, please key  doesn't existcontact us.